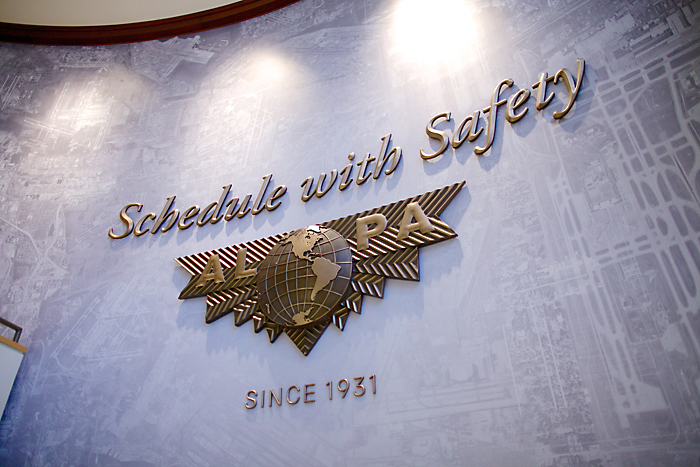 The Air Line Pilots Association approached us with a communication question. 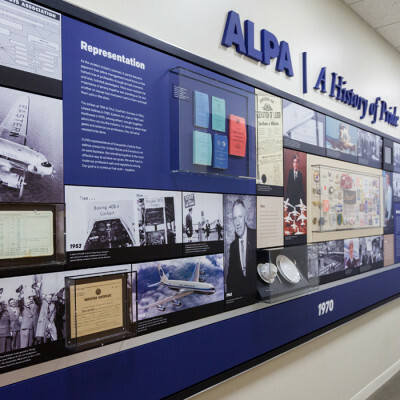 How do we tell the rich 80+ year history of our organization in our newly renovated 80,000 sq.ft. 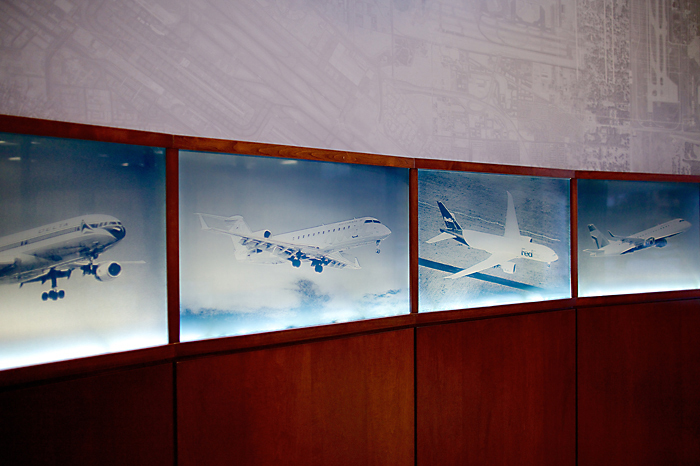 office space? 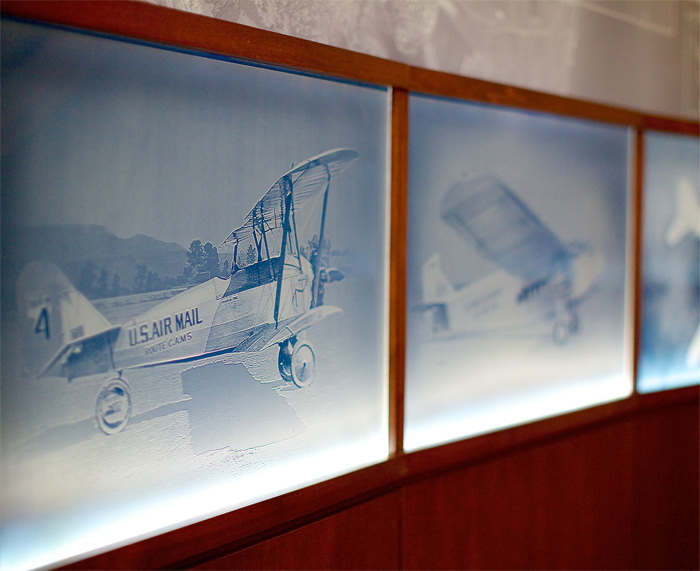 Working with their internal communications department, we developed a systematic storytelling approach that married the needs of a functional office space, with a museum experience, fit for pilots, staff and visitors alike. 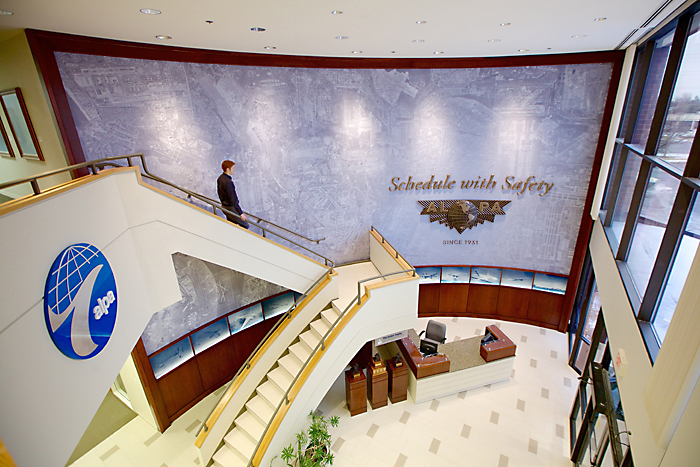 Phase 1 of the project included the main lobby as well as the lounge area. 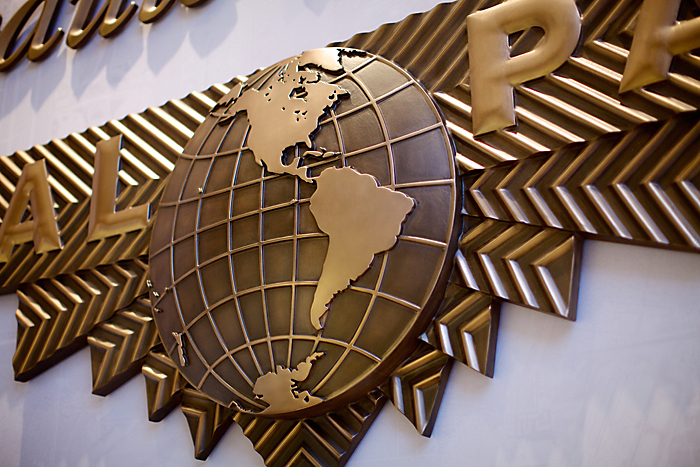 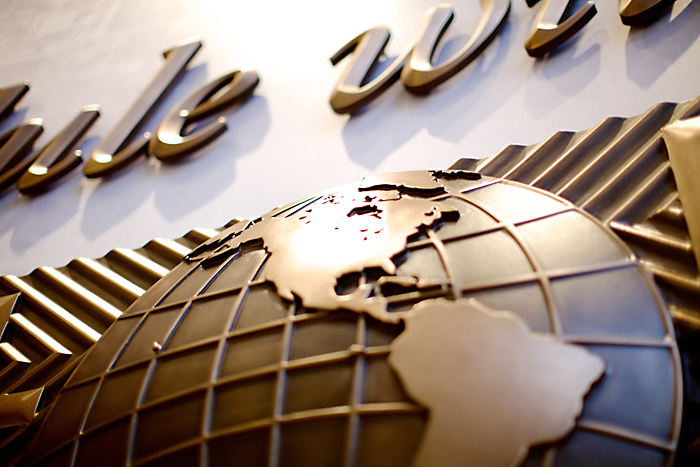 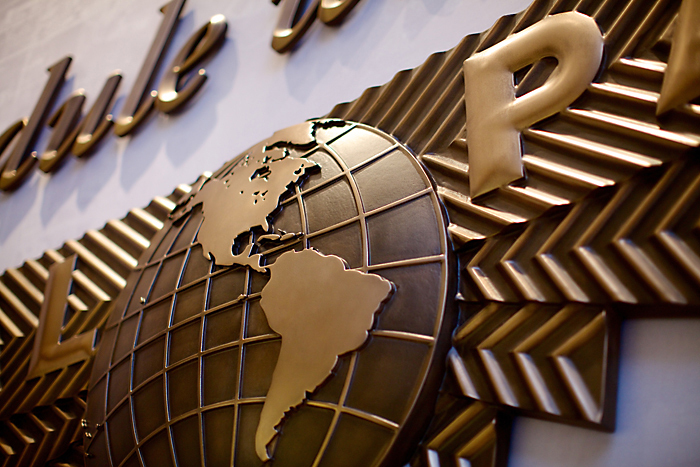 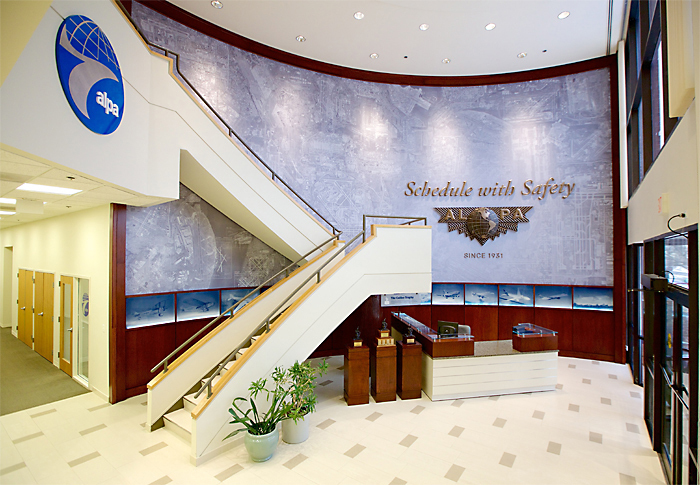 On the 38 foot wide curved lobby wall, we pin mounted a custom routed, approximately six foot wide, ALPA membership pin with a bronze metal finish. 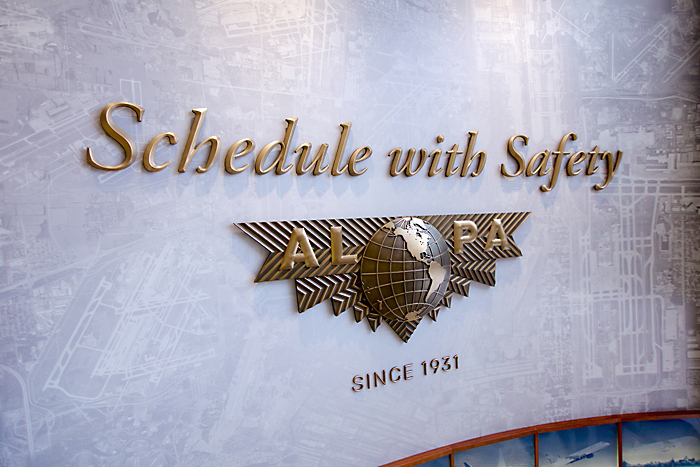 We incorporated the union’s motto ‘Schedule with Safety’ as well as its founding date. 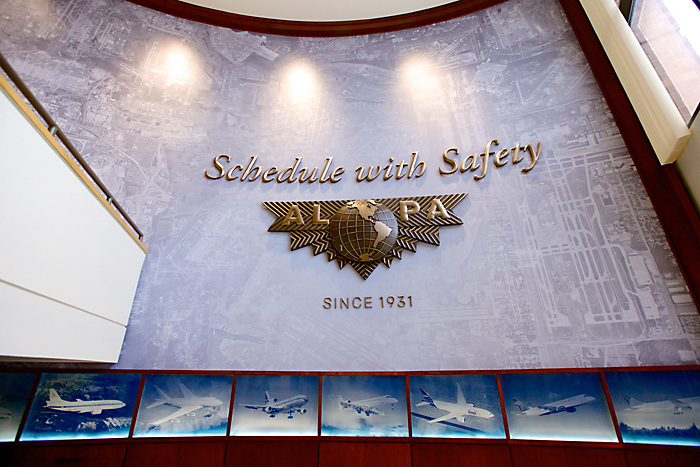 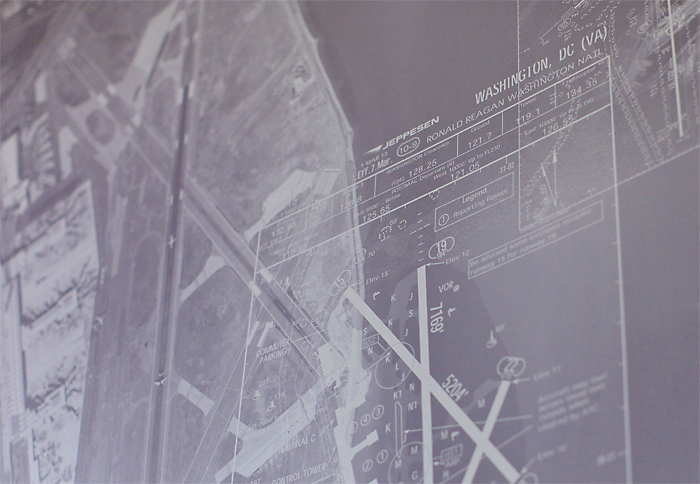 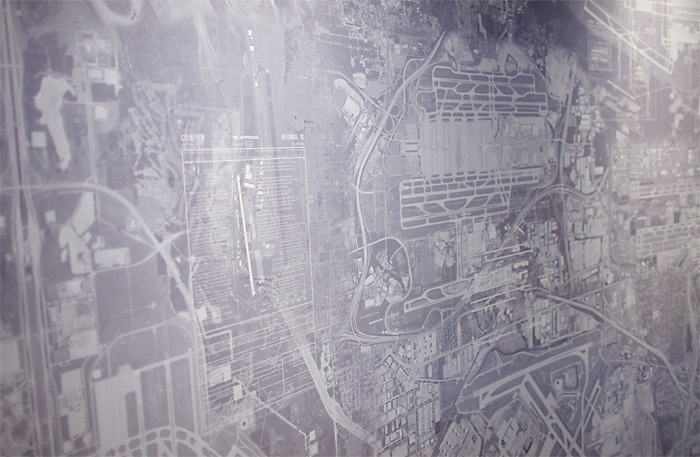 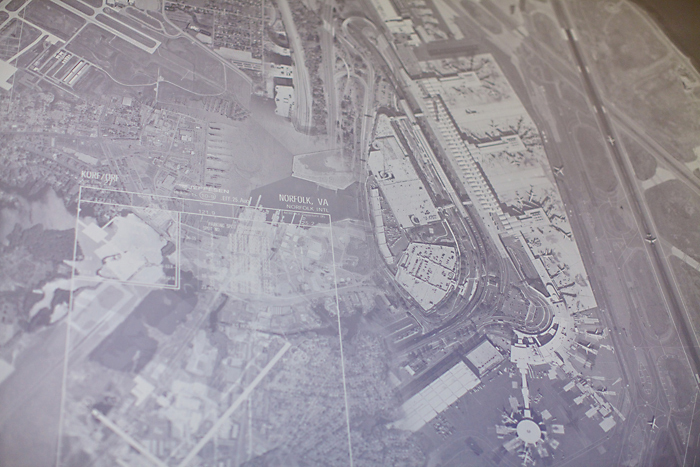 The graphic background consists of 51 U.S. and International airports that ALPA members routinely fly through. 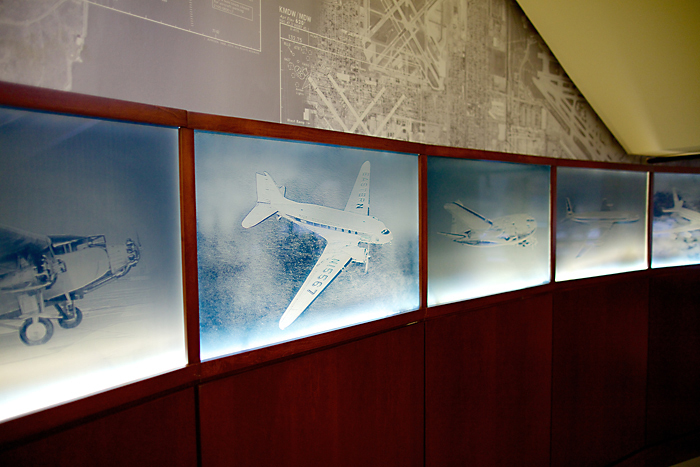 Wrapping the bottom of the wall, above the wood panels, are an historical progression of 13 aircraft types that chart the growth of the commercial airline industry since its inception in the early 20th century, through today.